Will Foxconn and Sharp Build an LCD Plant in the U.S.? U.S. President-elect Donald Trump has been straightforward about his intention to boost manufacturing at home. Some industry experts have been quick to dismiss the possibility of moving consumer electronics production to the U.S. from East Asia. To do so, they say, would be unrealistic given the complete supply chain that exists in East Asia. Mr. Trump could care less what those experts think, it would seem, and has doubled down on efforts to attract manufacturers to the U.S. On Friday, Japanese media reported that Sakai Display Products, a joint venture of Hon Hai and Sharp, is considering building an LCD plant in the U.S.
On Friday the Nikkei Asian Review quoted a Sharp executive as saying a plan to manufacture LCD panels in the U.S. is “on the table.” “We will make a decision carefully,” the person said. Softbank reportedly told President-elect Trump last month that it and Foxconn would jointly make significant investments in the U.S. which would create new SoftBank Chairman Masayoshi Son met the President-elect in New York last month. The U.S. may make sense as a manufacturing base for Foxconn because of its enormous market for televisions and other home applicances, analysts say. Details of the possible new U.S. plant, including the amount of investment and the date for the launch of operations, have yet to be decided. But market insiders say that the capital expenditure would be roughly equivalent to what was spent on the construction of a similar facility Foxconn and Sharp have in Guangzhou. 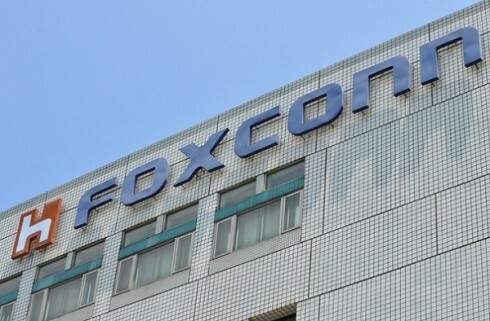 Market insiders say Foxconn is also considering manufacturing the iPhone in the U.S.